Some brands are better with certain types of products. One brand may be better at anti-dandruff while lack in others. 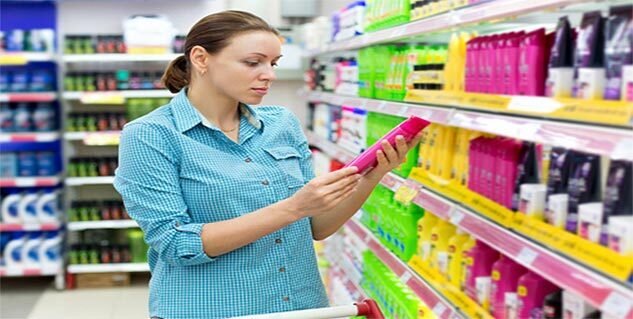 It’s convenient to opt for both shampoo and conditioner from the same brand. A set from a brand usually has similar ingredient for better results. Shampoos and conditioners are something you need more than anything for your hair care. While using a shampoo and a conditioner regularly for your hair can help keep your hair healthy and attractive, but that is not all. You can’t use just any shampoo for your hair, same is the case with conditioners. You need to select your shampoo and conditioner based on several factors including the results that you are expecting and the type of hair you have. Without the right shampoo and the right conditioner, you may end up with bad hair days haunting you more frequently. Let’s take a simple example, if you have dry and rough hair you would want to go for hair care products that have ingredients suitable for dry and rough hair. So it makes sense to use hair care products that have ingredients targeting similar results for the hair. But does it make sense to use shampoo and conditioner of the same brand? Well, let’s explore it. Before going to the main point of using both shampoo and conditioner from the same brand, let’s first analyse the role of a brand in your hair care. Does it really matter to use shampoo from a particular brand for your hair? Well, there isn’t a scientifically justified answer to this question, but the fact that each brand has its own strengths can somehow work as the answer. Ever brand has its own R&D focusing on specific hair problems and ingredients to deliver specific results. Over time, most of the brands have evolved to be better at one thing or the other. It makes sense to use an antidandruff shampoo from a particular brand as compared to other. On the other hand,a shampoo for hair fall from that very brand may not be as good as products from some other brand. In fact, it’s quite obvious that you would already have your own set of favourite brands for each hair problem. Well, it may not be certainly necessary as almost all of the brands have wide range of products for almost every hair type and problem. But using shampoo and conditioner from the same brand can definitely make things a lot easier for you. Once you have decided on the right shampoo for your hair, you would not have to worry about the conditioner. Furthermore, most brands usually have a set of shampoo and conditioner with similar ingredients that target the common hair problem including dandruff, hair fall and shine. So next time you visit your local store, you can grab a pair from the same brand without spending equal efforts in each of them separately. However, since most brands have almost similar products, rich with similar ingredients, don’t expect miracles from any particular brand. You can still keep on exploring and changing brands if they don’t suit your hair.